Although it is never explicitly mentioned, The Wall is set in Israel and the Palestinian territories. It is the story of 13-year old Joshua who lives with his mother and his stepfather Liev in Amarias, a fictional Israeli settlement located next to The Wall (always capitalised in the text) erected to protect the settlements and its inhabitants from the people ‘on the other side’. Joshua is deeply alienated from his family and peers and hates living in Amarias. One day, his friend David kicks Joshua’s football over the Wall, so Joshua, who is a very strong-willed boy, climbs over the Wall onto the other side where he discovers a tunnel. He finds himself compelled to crawl through the tunnel and emerges into a Palestinian town on other end, a place at once so geographically close to Amarias but different in so many other ways: much less affluent but bustling with energy. He is then discovered and chased by local bullies only to be given cover by a Palestinian girl, who we later find out is called Leila. As he makes another visit to Leila’s town and tries to fulfil a promise he makes to her father, Joshua grows into manhood as he gains emotional independence from his family, undergoes a political awakening and develops physically. As he has stated in several interviews as well as in a public discussion of the novel I attended last November, Sutcliffe took the motif of the portal (exemplified in the tunnel) from fantasy. At first it sits uneasily in what is clearly a realistic novel with its factual description of the settlements, the mentality of the settlers, the constraints on the mobility of Palestinians living in the West Bank as well as the internal dynamics within Palestinian society itself, including the constant need to identify and condemn collaborators and perhaps existing patron-client relationships (a possible explanation for the impunity enjoyed by the boys who chase Joshua and bully Leila’s family). However, upon re-reading the novel, I found this device effective in that it renders strange and unreal what was familiar and everyday to Joshua: the identical houses and pristine perfection of Amarias, the emptiness of its roads, and the almost overnight appearance of new houses and streets. Even his reference to Liev as his fake father becomes almost eerie. As Sutcliffe points out in an interview in the Guardian, the portal transports Joshua from fantasy to the reality and not the other way around. Sutcliffe also states that he tries to be fair in describing a situation that he clearly feels is unfair, and he is not afraid to take sides. There is none of the attempt to remain artificially neutral through showing both sides as equally to blame; it is not one of those books which will endear the book to many readers but alienate others. Perhaps, the aspects he discusses such as the settlements and the wall are less divisive than other issues related to the situation in Palestine/Israel. Having said, at the end of the novel, Sutcliffe makes it clear that the problem is not limited to these aspects but to the occupation in general. Sutcliffe had clearly done his research, reading up on the subject, visiting the West Bank as a guest of the Palestine Literature Festival (his Road to Damascus moment) as well as going on an organised tour to the settlements. He resists easy solutions to what is a complicated situation as we see all of Joshua’s efforts to build bridges and help Leila and her family only leading to more trouble. There is dim hope, and the best a well-meaning individual can do is try and try again to make things better. What is as fascinating as the description of the political divide among people on both sides of the actual (and metaphoric) wall in Israel/Palestine is the author’s presentation of the wall within Joshua’s own family with his mother and abusive stepfather forming a united front against him. It is a relationship built on deception and manipulation, and Joshua gives as good, proving very adept at baiting his mother and stepfather and resisting their efforts to control him. Joshua still grieves for his dead father, who would refuse to have his son see him in his army clothes whenever he had to go off to do his army reservist duty. 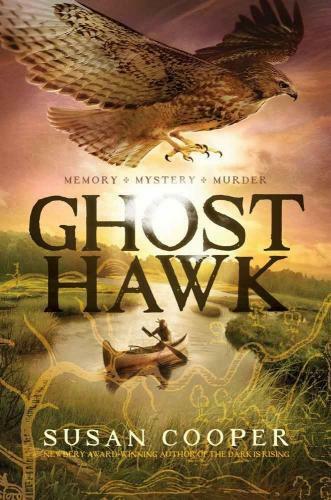 As in Ghost Hawk, a gentle, loving, and tolerant father is replaced by a cruel and violent extremist who seems to have his wife in a trance. Perhaps, Joshua’s ability to form an independent political point of view stems from his alienation from his family. “I feel as if there is a new line around me: an edge, where I stop and Mum starts. Before, it was a blur. She’s still my Mum-I still love her and need her and want her to be less miserable- but I realise that I have, in some way, got rid of her.” (p. 138). The author succeeds in getting inside the head of Joshua, who is a keen and sarcastic observer of the dynamics within his family and society. Surprisingly, the novel is often funny. As Sutcliffe himself admits he does not always use the language of a thirteen year old. I wondered if the more adult diction would put young readers off. 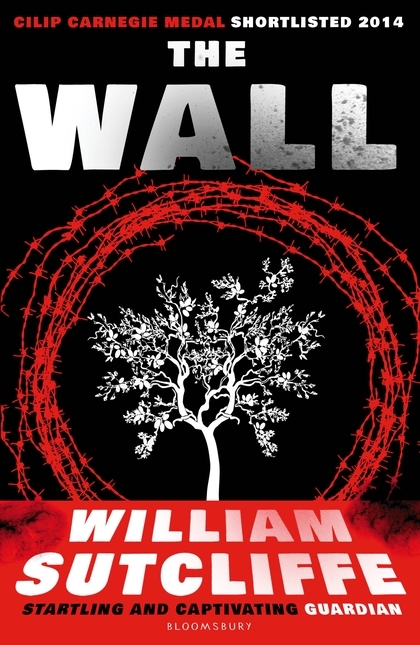 Although I would consider The Wall the best written of this year’s Carnegie Medal shortlist, I felt that his writing style sometimes needlessly slows down the narrative and makes the reading sluggish. All in all, this is a very strong contender to win the Medal. 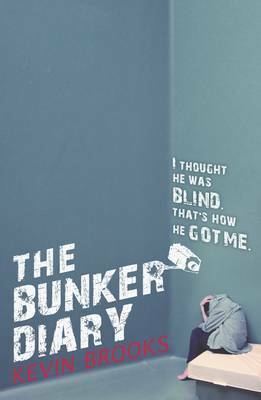 The intensity of Kevin Brooks’ controversial The Bunker Diary is astounding as he unveils a dark, claustrophobic world seen through the eyes of one lone voice. This is a gripping novel that becomes something to endure, not necessarily enjoy, as you witness the nightmare-inducing situation of Brooks’ characters and discover what it means to survive in a hopeless situation. 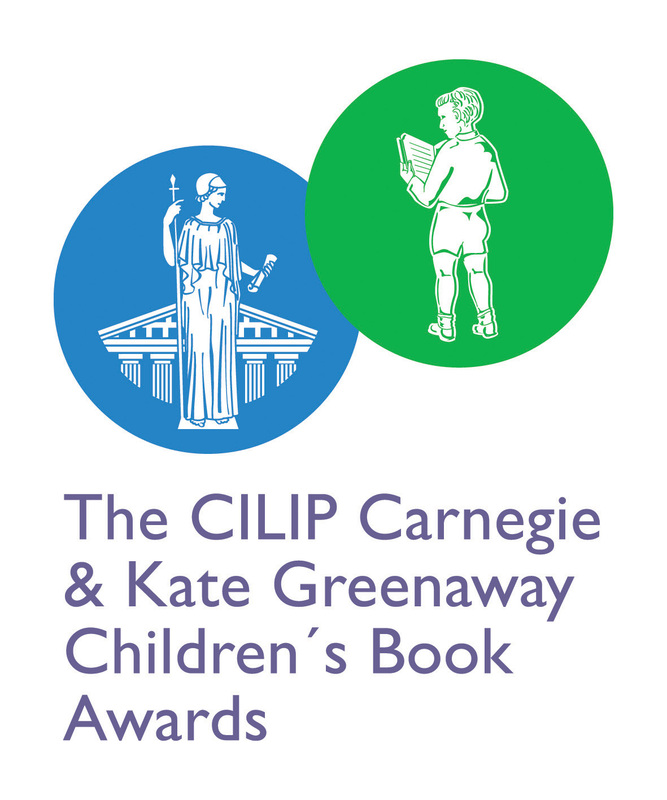 In a competition not unfamiliar to crowning the controversial, this unique novel stands a good chance in claiming the prize as it pushes the boundaries of the acceptable within children’s or YA literature. This is the diary of the sixteen year-old runaway Linus Weems who finds himself inexplicably trapped in a disused nuclear bunker, kidnapped by an unknown man for an unknown purpose. As time passes he is joined by five other stolen souls that fill the six-cell cage as they are all forced into the role of observed lab-rats with no tangible means of escape. Dealing with issues of control, torture, helplessness and survival the characters of The Bunker Diary are stripped bare when taken away from their social surroundings and statuses and placed within a controlled environment where primitive instinct is their only hope. Brooks lists Lord of the Flies and The Collector among his influences, detailing an interest in fictional attempts to understand human nature outside of a recognised world and The Bunker Diary plays with this effortlessly. Brooks plays with the concepts of time, the passing and manipulation of it and life ticking away regardless of who is in command. Routine, time, and the clock are all important parts in the insular lives of the captors and yet they are not always true. Linus’ diary starts very structured with entries both dated and timed and yet when his illusion of reality collapses once the trick of the clock is discovered, his diary becomes more chaotic and life can no longer be quantified. This is an effective way of demonstrating just how far life in the bunker is isolated from a known and understood reality. The unbelievable intensity of the novel is created by a claustrophobic narrative. The environment in which the events occur and the format in which those events are described are limited, thereby restricting audience understanding. None of the direct plot happens outside of the four walls of the bunker, we are only reminded of an outside world through character reflections or memories, and the only direct voice we ever hear is Linus’. The choice of diarised narrative is exceptional in creating an immediate connection to a lost boy who was looking for a purpose and instead found a predicament. Through Linus the audience is able to experience just how out of control his controlled environment becomes and the result is hard-hitting. Brooks’ strength lies within his characters, particularly Linus’ narrative voice. Once all the victims are in place, there is very little to carry the plot except how each character behaves within and reacts to their situation, Doberman and ‘hE WHO KILLS aNOTHER SHALL BE fREe’ note aside. The diversity of characters creates another layer of deep-seated threat illustrating, quite clearly, that no-one is safe as the kidnapper doesn’t appear to have a ‘type’. The reactions of Linus, Jenny, Russell, Anja, Bird and Fred highlight a cross-section of society and the interplay between them, despite the group still separating themselves within the bunker, does carry the story forward. Him, the kidnapper and orchestrator of the novel’s events, is an ethereal and God-like character, significant in his physical absence within the story. His divinity is emphasised by the only physical position we can associate with him, that of upstairs (above ground and therefore above his captives looking down via hidden cameras) as well as the capitalised moniker Linus gives him, a method identical to cultural references of the divine. How much of the inclusion of Him is a comment on the power of an author, puppeteering his characters within a story, is left to the audience to decide but it is not a parallel that can go unnoticed in a novel that ultimately demands audience discussion. The Man Upstairs is also an everyman, all descriptions of him by his captives are fairly non-descript meaning that he could be absolutely anyone, and yet his influence and power is all-encompassing. His motives are always hidden which adds to the suspense and ‘on edge’ feeling throughout and because the audience is left without any understanding to why the events they have witnessed occurred. Brooks himself is also apparently unaware of who He is or why the events within The Bunker Diary occur, stating that he completely shut off that part from the writing process as a way of retaining the novel’s mysterious integrity, that every reader is free to interpret and create their own reason or understanding as a way to cope with the inexplicable. I really admire what Brooks is doing with this novel and I think he is incredibly successful in creating a controversial and unsettling story about the power of the human survival instinct. It is has the chilling quality that is key to a successful psychological thriller and makes it unputdownable, whether you actually like the novel or not. It is explicit in its violence and psychological effects and yet it was the lack of reason or answers is what I found the most unnerving with the unresolved ending being particularly harrowing and unsatisfying to a reader clamouring for understanding. If a picture is worth a thousand words, I wonder how many words the blank pages at the end of The Bunker Diary are worth. Suicide, murder, drug addiction, lust, cannibalism, torture – these aren’t subjects found in children’s fiction and yet here they are, presented all together in one short novel. Can we make allowances for the inclusion of these given the ‘arena’ in which they are discussed? The passing of time and the falsehood of the clock. Is the anonymity of the kidnapper just scare-mongering? What other purpose does it serve? There is a clue in the title and the cover that this book is about Native Americans. The old map is of Massachusetts in the seventeenth century, the time of the Pilgrim Fathers, with green leaves growing over it. And there is a solitary, independent feel as the protagonist looks out on the vast landscape. Oh, and there’s a quote from Philip Pullman saying how he likes the book – there’s a surprise. There are surprises in the book, but I don’t want to spoil them. The story opens and closes on an island in the salt marshes, a place where fresh and salt water meet and the book is about the meeting of the English settlers with the indigenous (or at least much, much earlier settler) peoples. It evokes a strong sense of place and of time and has the power to transport you to the different communities and to imagine what it was like to be alive then. Some ‘real’ historical figures are introduced, like Squanto, the Native American who had been to England and Yellow Feather or Massasoit, Sachem of the Wampanoag, and Pilgrim Fathers Edward Winslow and Roger Williams. The third part of the book ‘Burning Moon’ runs through the history of Hawk’s people and shows the development of free-thinking Providence for the settlers but it does not feel like a history lesson. The imagined ‘real’ characters and the purely fictitious ones are strongly drawn and the complex issues are skilfully raised, It achieves what a good historical novel should, I believe, in that my imagination and empathy were stirred and it set me thinking hard and looking things up. In ‘Afterwards’ the shameful timeline of the state-sanctioned shrinking of the indigenous peoples’ territories is presented in a cold, bare, factual way in the author’s voice. The first part of the book ‘Freezing Moon’ is seen through the eyes of eleven year old Little Hawk and narrated by him as he prepares for and undergoes a three month trial of solitude in the woods in winter, following the old traditions. He finds his spirit guide, lives off roots and hunted animals, kills a wolf and survives a snowstorm. He come back a man but not to the village as he left it, as the white man’s plague has swept through, leaving only his grandmother. They join survivors of other villages. When they meet some white men in friendship and teach them to fish, he encounters seven-year old John Wakely ‘ a very unafraid boy’. Later John recognises Little Hawk by his scar and fatefully calls him by name to help free his trapped father. Then the book changes perspective in ‘Planting Moon’ but Hawk becomes intertwined with John Wakely’s life as a stepson and apprentice in the settler communities and continues to narrate the story with inside knowledge so there is a very cleverly crafted continuity. Little Hawk’s tomahawk, with its handle grown from intertwining branches, is saved and revered by John, who has a strong sense of justice and respect for the tribal people. He also becomes a champion of freedom of conscience in belief and the separation of church and state. His brave and independent actions show how one person can make a difference, the author seems to be saying. Rachel, the artist in modern times, who finally buries the tomahawk under a growing tree in ‘Ripening Moon’ and helps Little Hawk to be free, when asked if she is Wompanoag, shrugs and says: “There are all kinds of tribes in me, most of them from across the ocean, And I don’t belong to any of them. If human beings weren’t so big on belonging to groups, I don’t believe they’d fight wars.” That is one of the messages of the book and another is that “the land belongs to no one. The land is.” (p329) It is “the story of a boy and an axe, a tree and an island” (p142) and satisfying as such, but with much metaphor and symbolism to meditate on. I found the book gripping, thought-provoking, poetic and atmospheric but I can’t read as a ten year or a teenager any more. Can Susan Cooper write for young people as she approaches her eighties? (She is so wonderfully old that when she read English at Oxford she was taught by Tolkien and C.S.Lewis.) I think she probably can, but it is for them to respond. 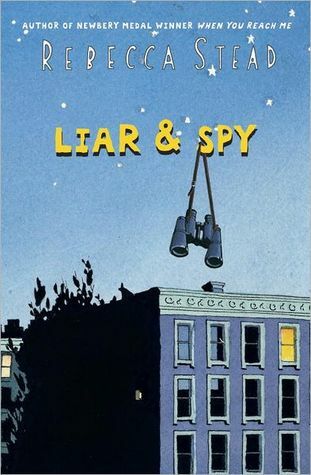 Liar and Spy is a story about deception and perception, ways of seeing and ways of showing and gaining a sense of perspective. If this makes it sound like a daunting or dull read it is nothing of the sort for Rebecca Stead tells her story with wit and humour, a light touch in dialogue and an easy pace which allows for lyrical touches which engage all the senses. There are two (at least) central images: the pointillist style as in the art of Georges Seurat and the sense of taste. The narrative involves the themes of deception but also bullying at school, friendship, and emotional reaction to changes, all wrapped up in the mesh of emerging from childhood into adolescence. The setting is ordinary people in contemporary urban location of New York. The chief character and, as it turns out, unreliable narrator is Georges (with an S) who has just moved from his childhood home across town to a New York apartment. George’s father has recently lost his job and Georges is no longer best friends with his childhood playmate Jason. He is bullied at school – why? Because of his lack of prowess in sport – he dreads PE lessons, or his name perhaps which is as good an excuse as any for the class ring leader. The teasing gets progressively worse throughout the novel but apart from occasional physical contact, is predominantly verbal – there is no cyber element here and I find myself checking exactly which era we are in? Is it pre-digital? And here another issue is emerging – that of the “outsiders”. Safer and his family are different certainly to Georges who nevertheless appreciates their welcoming of him. At school Georges’ companion is “Bob English who draws” another outsider who clearly sees everything visually and likes to communicate in the same way.The metaphor of the taste and the five or six different tastes from sweet to umami intersperse George’s memories of his childhood, especially of his mother who is clearly a wonderful woman and is largely missing in person in the action of the novel, due to her working double shifts as an intensive care nurse. OR IS SHE? I did not catch on until almost the denouement in spite of clues left, like dots, in the narrative – George’s Dad taking clothes and favourite snacks to her at the hospital and spending a lot of time there, when she is supposed to be working. The many murmured phone calls behind closed doors which Georges refers us to. So completely blinded was I by the smokescreen put up by Rebecca Stead about Safer’s game of deception, as it turns out to be, – that I did not pick up on the truth until it is revealed by Georges Georges knows the truth, but has been unable to face up to it and has been deceiving himself. His final acceptance comes right after he has devised and executed a campaign which foils the class bully’s persecution of him and others by rallying all the “outsider” or “ not cool kids” to stick together and sabotage the famous taste test – all feigning non-detection of the unpleasant substance and bucking the stats which say there will normally be only 1 or 2 non tasters in a class. Apart from the taste analogy through the book, running through the narrative Rebecca Stead also refers to the technique of pointilisme as executed by Georges Seurat, our unreliable narrator’s namesake. Georges’ mum often advises him to look at life as a big picture to see clearly and not get bogged down in detail. This is like looking at a Seurat painting – look too closely and all you see are unrelated dots. This is echoed in the description of George’s mother’s first aeroplane flight seeing things from above from a different perspective. The “ways of seeing” analogy is central to the themes and we have seen it in the surveillance techniques, Safer using binoculaurs to watch the parakeets nesting, Bob English who draws visual messages, scrabble tiles making up a message, a blue dot on the palm of your hand, a fortune cookie message. These elements and the multiple narrative are like the different colours of the dots making up the whole finished novel, and we are only able to see the whole picture of this story when Georges our unreliable narrator can finally step away from his self-deception about his mother. Once this is revealed and Georges comes to terms with Safer’s deception over Mr. X which he says was a game he thought Georges was in on all along, the resolution is swift – too swift and easy perhaps? George’s mum is almost fully recovered, his Dad is building a new career and. Mr. X is revealed to be a normal guy. Also revealed is Safer’s other less than honest depiction of himself covering up for his agoraphobia and other fears – lifts, germs and endless others. Safer is now going out and about and is talking even of going to school. These complex elements are structured into a deceptively simple story, Rebecca Stead’s apparently easy style tis actually playing with her readers and our responses until she finally gives us the perspective to see how all the dots join up.